The line-up for this show could not have been more perfect. All four acts complimented each other so nicely, each having the common theme of making this world a better place. 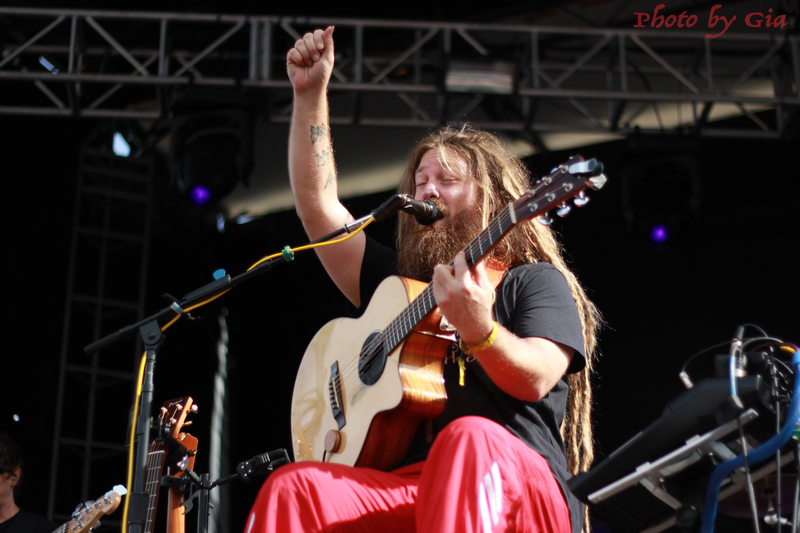 Mike Love started off the day, then J Boog, followed by Nahko & Medicine For The People, and the event’s headliner Rebelution closed out the night. This was my first time seeing Mike Love and I hope it wasn’t the last. 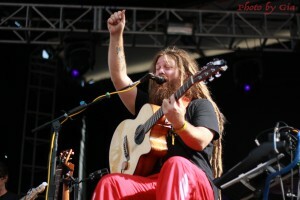 He lives in Oahu, Hawaii and makes reggae music that is revolutionary and of the highest consciousness. He played his whole set sitting on a stool, barefoot, with an acoustic guitar. During his performance, he shared a story about a song that came to him right after his son was born while he was unfortunately on his way to play at a funeral for a 17-year old girl who had overdosed. He followed this by playing “No Regrets”, which really made it come to life. His message of giving thanks for life and spreading love was strong throughout the entire festival: a truly inspiring moment. The obvious depth and passion in Mike Love’s music along with his incredible vocals is something that resonated with the entire audience for the rest of the day. Next up was J Boog who is always a crowd favorite. 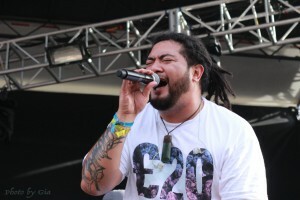 J Boog is also based in Hawaii and definitely brings the Hawaiian vibes with his music. 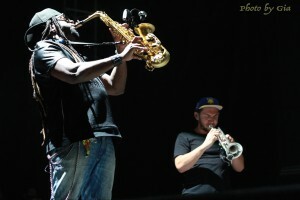 Although he is predominantly island reggae, he also has influences of rock, R&B, and hip-hop in his music. His diverse style was apparent in his set when he gave tribute to many different artists by covering songs like “Santeria” by Sublime, “I got 5 on it” by Luniz, “California Love” by Tupac Shakur, and a few more. J Boog closed out his set with his hit song, which he considers to be his breakthrough song, “Let’s do it again”. 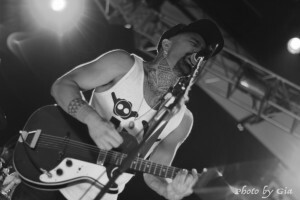 One of the most inspiring groups I have had the opportunity to see is Nahko & Medicine F or The People. Nahko is an individual who when it comes to life, just gets it. One of the first songs he played was “Vultures of Culture”, a song about his indigenous blood and the oppression the Native Americans faced because of “the western man”. 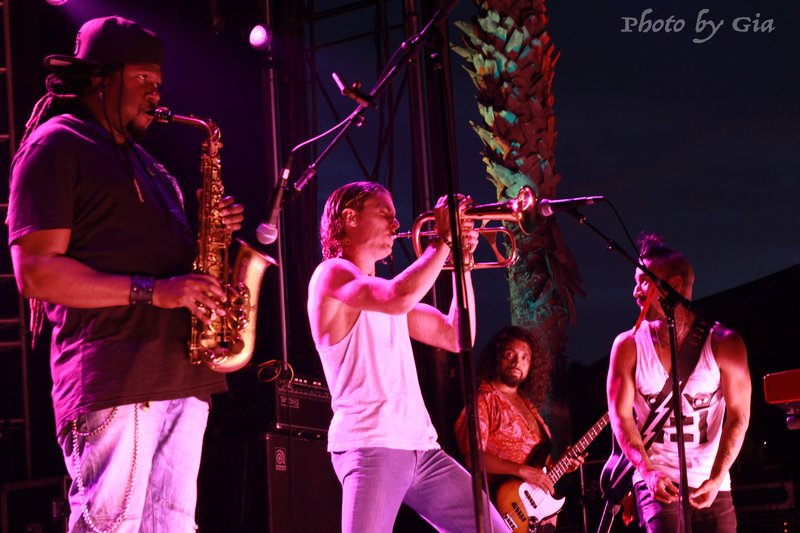 His enlightening lyrics along with bringing out the sax player from Rebelution to join the ir trumpet player added to their powerful performance. Coming from a background most couldn’t imagine, the fact Nahko can accept these misfortunes and write songs about how thankful he is, makes him that much more of an inspiring human. 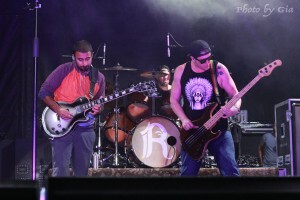 Finally, Rebelution came on to close out the night. They immediately h ad the crowd dancing and singing along with their feel-good music. Rebelution is one of those bands where it is almost impossible to not be on your feet and dancing because of their high energy. With Zach Meyerwitz on trumpet and Khris Royal on saxophone adding the perfect amount of soulfulness on top of it all. Rebelution is another group who spr eads knowledge about the injustices of the world and attempts to stop hatred and start a movement of peace. Their most recent release “Count Me In” has been receiving continual play on Flying Eye. he acoustic version of Count Me In is one the most moving and endearing efforts. All four of these artists are really contributing to a movement that is much bigger than themselves. 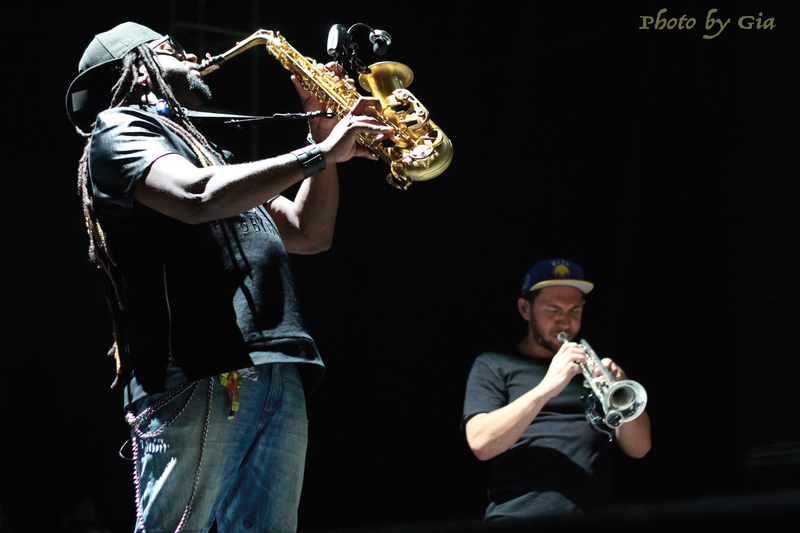 Reggae is continuously growing and positively affecting more and more people as the years pass. California Roots always does an incredible job of helping make this movement move by hosting amazing events such as this one.